Aizawl | September 13, 2018: Directorate of Sports and Youth Services Department buatsaih, Basic Course for Guide Captains Training September ni 7-13, 2018 chhunga State Training Centre Tanhrila neih chu September ni 13, 2018 chawhma dar 10 khan kharna hun hman a ni. 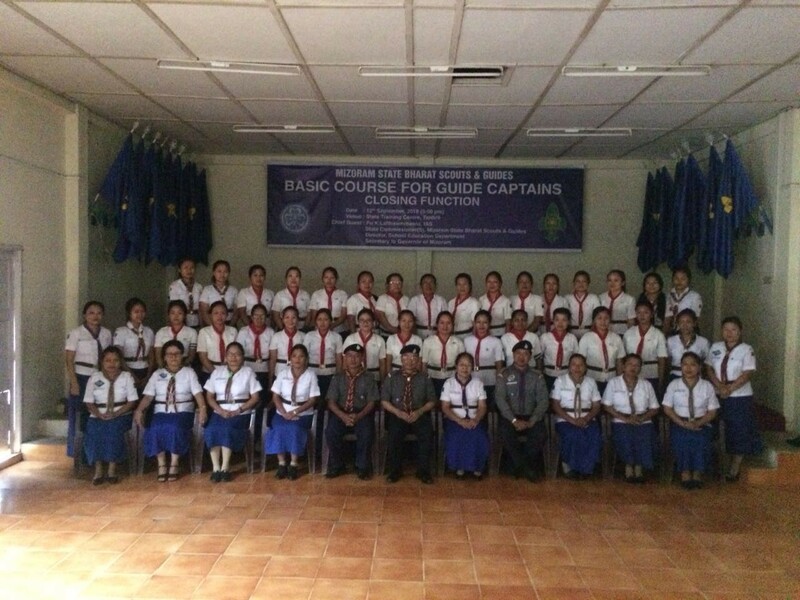 Basic course for Guide Captains kharna inkhawm hi September ni 12, 2018 khan Pu K.Lalthawmmawia IAS, State Commissioner (MBS&G), Director of School Education ni bawkin a hmanpui a. Camp report Pi Lalnunsiami Pachuau, State Organiser in a pe a, Training ten item bengvar thlak leh hmuhnawm tak tak an entir a, Closing function hi Pu Vanlalrova, MCS, Council Member, MBS&G & Deputy Director SYS in kaihruai a ni. 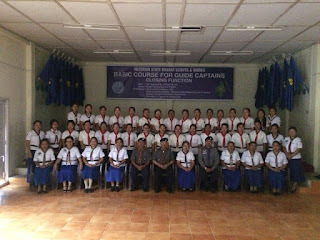 Basic Course for Guide Captain Training ah hian District hrang hrang atangin zirtirtu 25 an kalkhawm a, Govt.Higher Secondary School, Aizawl atangin Service ranger 6 awmin, course staff 9 an awm bawk. Pi Lalnunsiami pachuau, ALT(G), State Organiser(Scouts and Guides) Directorate of Sports and Youth Services chu Basic Course for Guide Captain Training ah hian Leader of the Course (LOC) a ni a. Vawiin September ni 13,2018 khan LOC in Camp hi khar a ni.